Jessica Sisney of Humble, Texas, was 26 years old and 22 weeks into her first pregnancy. She and husband Richard were doubly grateful for the pregnancy. 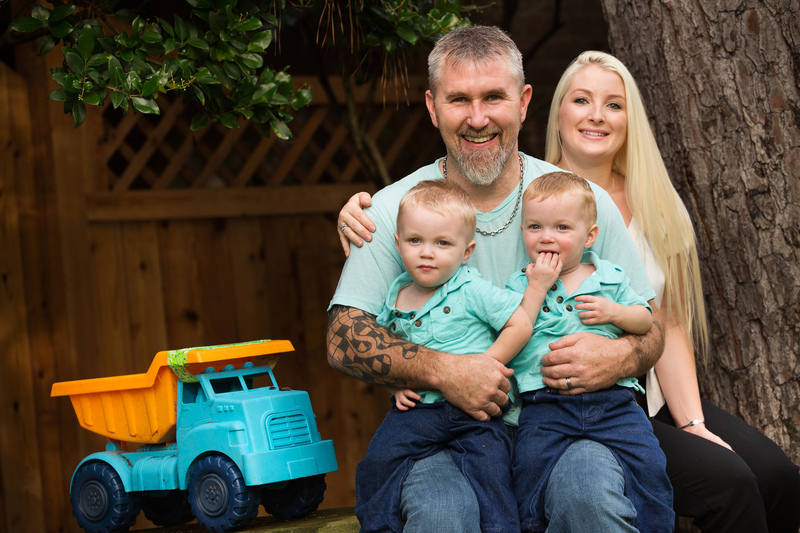 The first round of in vitro fertilization was successful, and they were expecting twin boys. One evening while out to dinner with her husband and stepdaughter, Jessica was somewhat distracted by increasing swelling in one leg, but she figured it was just par for the course. So far, everything had gone well with her pregnancy. By the time she got home, however, she was becoming concerned. “My leg was all red and purple,” she says, “and it just kept swelling and swelling.” The swelling escalated to the point that it was causing severe pain. “I was in tears all night long,” Jessica says. Around midnight, she asked Richard to take her to the ER. Doctors there found nothing and sent her back home. The next day, still in pain, Jessica decided to try another ER. This time, they discovered what was causing the problem—a blood clot. This was alarming news as clots sometimes break loose and travel through the bloodstream to the lungs, causing pulmonary embolism, which can be life threatening. “I found out I have a blood condition called Factor V,” Jessica shares. Factor V is a specific gene mutation that results in an increased tendency to form abnormal blood clots. On April 18th, seven weeks after the Factor V diagnosis, Jessica had an ultrasound. Both babies were doing fine. “Jase didn’t want to look at the camera,” she says, “but Austin was smiling and giving a thumbs up.” She was happy she got to see “the little men”, and that everything appeared normal. But a few hours later, Jessica started bleeding. She needed to get to a hospital ASAP. “When Jessica told me she was bleeding, I panicked,” Richard says, “but Joanie had told us what to do.” Joanie Hare was Jessica’s new OB, whom she’d switched to after she was diagnosed with the blood disorder. “She’s very experienced, very blunt and very direct,” Jessica states. “I like that.” Jessica had also chosen a new place to have her babies, a hospital recommended by her OB and the hospital Jessica now recommends to anyone she encounters who’s expecting. She would have her babies at the Woman’s Hospital of Texas. Before long, a doctor came in to speak with Jessica. “He told me that my babies were coming,” she shares, “that they had to come.” Austin and Jase weren’t the only ones on their way. Woman’s AirCare had a helicopter en route, piloted by Bob Stolting. With him were Woman’s Hospital Flight Nurse Demi Wilkes and Woman’s AirCare Flight Paramedic Michael Johnson. “When the doctor told me the helicopter was coming, that was the first time I felt relief,” Jessica says. It was only a 30-minute drive to Houston, but Jessica knew that might be too long. The flight crew soon showed up at her bedside, introduced themselves and told the Sisneys exactly what would happen between that moment and Jessica’s arrival in Houston. 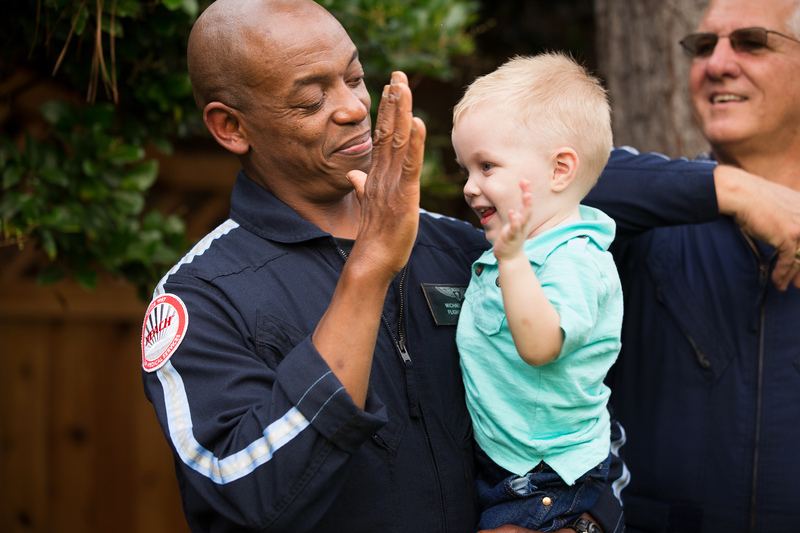 Flight Paramedic Michael Johnson gets a high five. The twins had passed their biggest test, but they had more to come. They were jaundiced, they needed blood transfusions, they needed CPAP for breathing problems and Austin had a Level 2 brain bleed, which is not unusual in premature babies since the blood vessels in their brains not yet fully developed. All told, they stayed in the hospital for over two months. Austin went home after 73 days. Apparently Jase didn’t like the separation; he was released less than 48 hours later. Next came the tests specific to life at home. The boys needed heart monitors. Also, they sometimes forgot to breathe, so they’d need liquid caffeine to make sure they didn’t sleep too deeply. 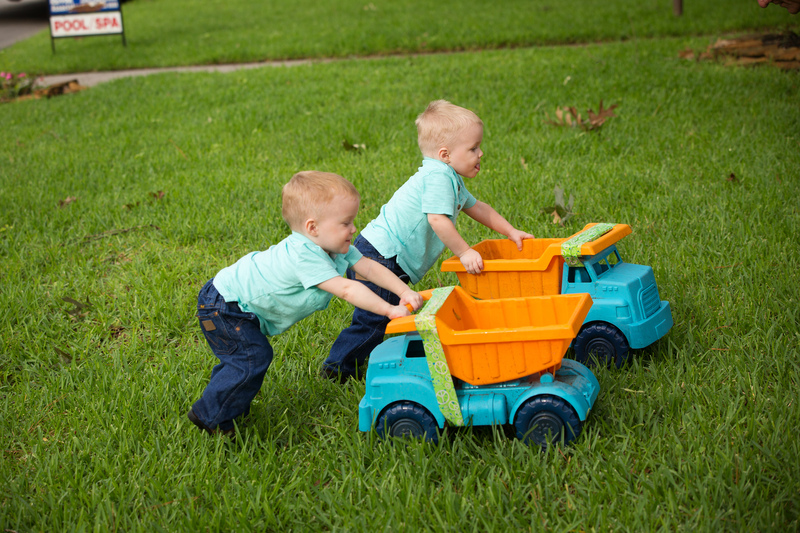 Two-year-old twins, Austin and Jase Sisney. Everyone at Woman’s AirCare and REACH is happy to have helped make Jessica—and her entire family—happy. We’d also like to congratulate Jase and Austin on a recent noteworthy event, their second birthday!